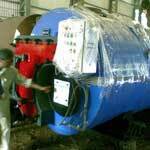 We have carved a niche as a preeminent Manufacturer, supplier, Exporter and Importer of Steam Boilers in Maharashtra, India. Our Boilers are High Pressure Steam Boilers and widely acknowledged for their strong built and high operational fluency. IBR Steam Boilers are compact in size and can also be personalized, accordingly. Feel free to place orders, timely deliveries will be at your doorsteps. In addition, our Steam Heat Boilers have the capacity of 1 Tph to 30 tph and pressure up to 45 kg/cm2. 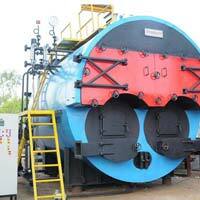 Our Steam Heat Boilers are widely used to keep various fuels like LDO, Furnace Oil, HSD, Natural Gas etc.